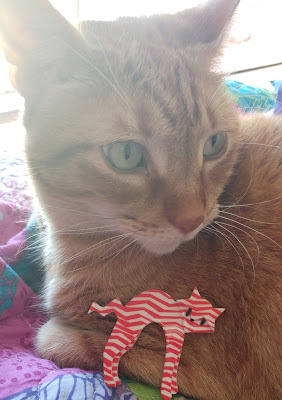 Earlier this year I discovered brooches! 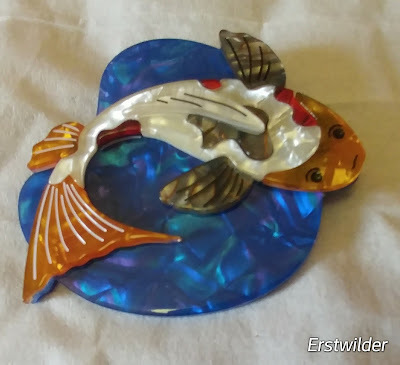 I had never even thought about brooches before I discovered Erstwilder! Erstwilder is an Aussie company based in Melbourne. This is not a sponsored post: I just love their designs! 1) Bubblegum Pop Princess by Erstwilder. 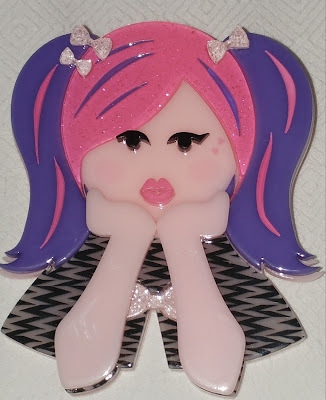 I love the colours in this brooch and that it is based on the Harajuku girls in Tokyo. Tokyo is my fave city and I love visiting Harajuku to see the colourful and interesting street fashion styles. In Harajuku you can see every kind of fashion imaginable! Even if the fashions aren't your own style, it is so inspiring to see such colour and creativity everywhere! 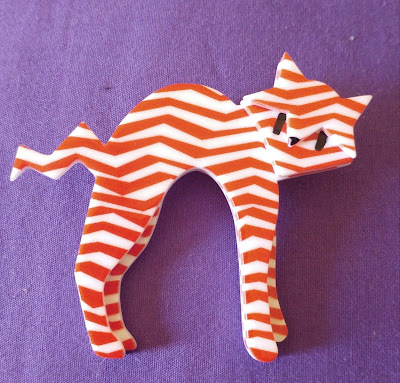 2) Breton Kitty by Erstwilder. I couldn't resist this brooch when I first saw it! It's quite plain compared to the others, but is definitely one of my favourites. This is my version of a more subtle, classic brooch!! The colours in this brooch are absolutely beautiful in real life. They shimmer in the sun and each colour is so rich and vibrant. Brooches like this really are wearable art! I love this Carmen Miranda inspired brooch. The colours are amazing and it adds sparkle and fun to every outfit! 5) Neko the Beckoner by Erstwilder. 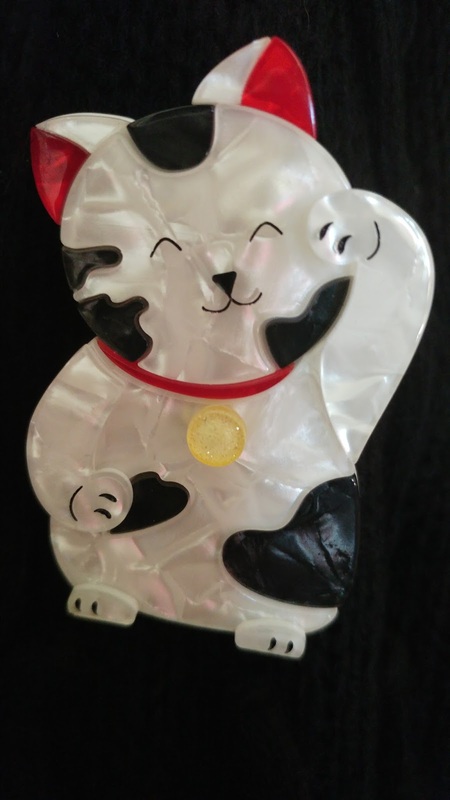 I love this brooch because it combines my two great loves: Japan and cats! His left hand up means he's beckoning good luck. If his right hand was up it would mean he was beckoning wealth. 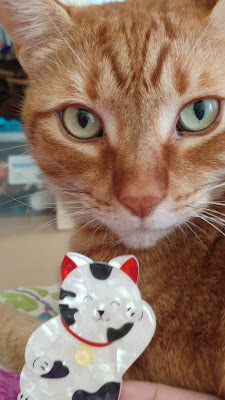 Amber has chosen her fave brooch! I have a feeling Amber would choose wealth over luck, so she should have her right hand up!! Which is your fave? 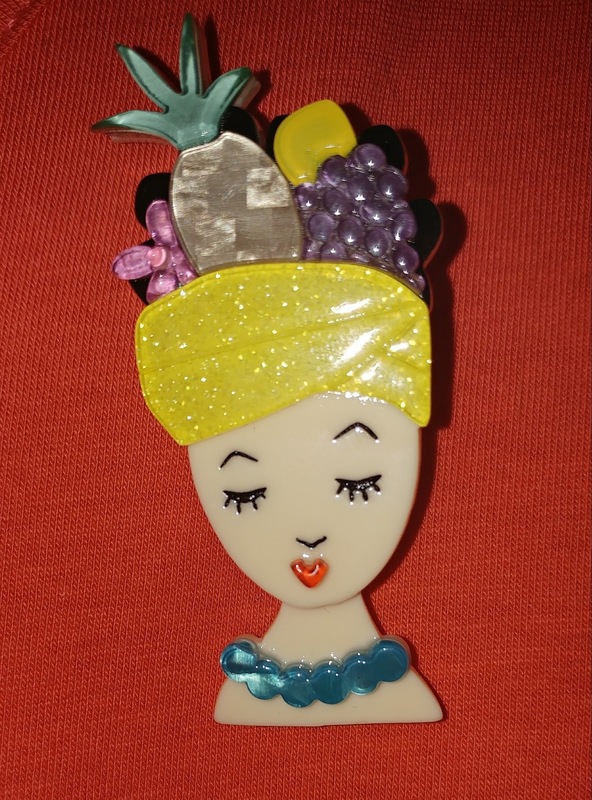 Do you wear brooches? Let me know! I'd love to hear from you! I like the goldfish one, but they are all really cute. Plus - Amber! 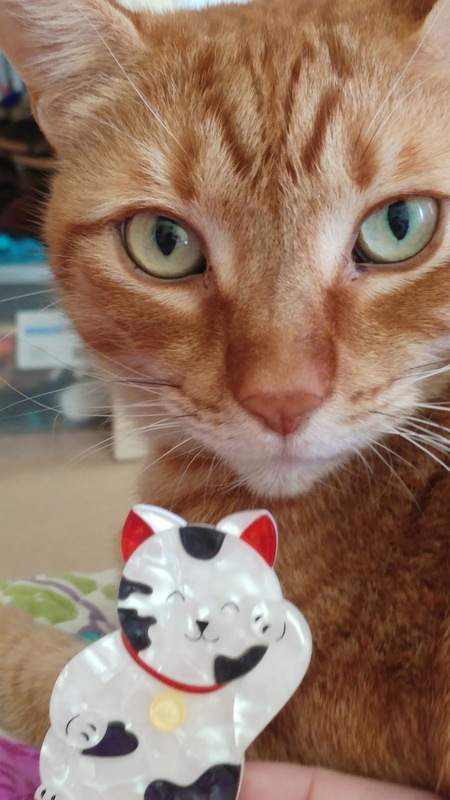 Such a cute kitty! All of your brooches are really lovely. My favourite?? A bit hard to decide. I guess whatever Amber likes I have to like as well so maybe, Neko the Beckoner. I'm sure she would choose good fortune as she already has wealth living with such a devoted Mummy. They're all so pretty but I like the Copacabana brooch the best. So summery and fun!